Morningside has a great little campus ministry going that Grace partners with. 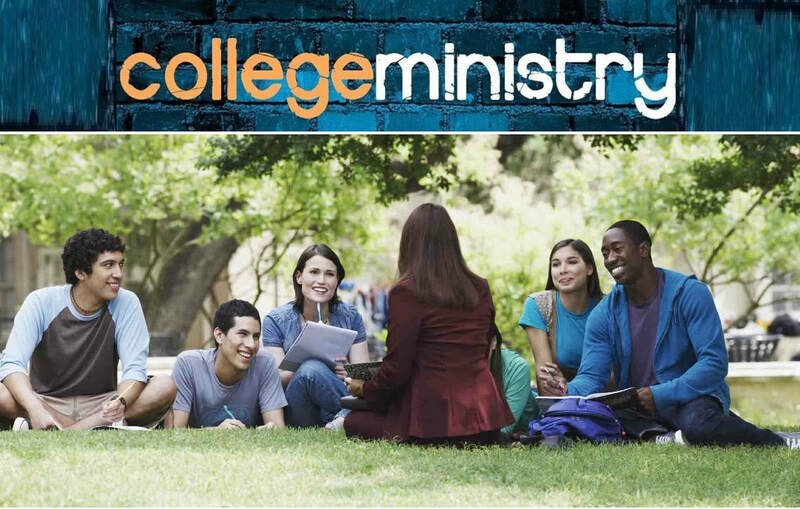 They also have a student led ministry that branches off from the campus ministry called Christ Connections that plan monthly activities and do mens and women small group bible studies during the week. Every Thursday Campus Chaplain Andy Nelson holds a lunch get together called Faith and Life Weekly Roundtable from 11:45am-1pm. Here students gather to talk about their lives and any burning questions they may have about faith or how God is working in their lives. ​Love Thy Neighbor Bingo | March 6th - April 22nd | For many Christians, the time leading up to the holiday of Easter (called Lent) is dedicated to reflection and preparation. Often people will choose to give something up (caffeine, chocolate, pop/soda, etc) as a way of focusing their attention on that preparation. In this same spirit, I would like to encourage the Morningside community to intentionally give some of our time over to volunteering and service during these weeks. Whether or not Lent is something you observe in your faith tradition, I would love to see our campus claim it as a time to be intentional about acts of love and service for the people in our lives, our communities, and our planet. As a way to encourage us in this (and hopefully make it kind of fun! ), I have published a "Love Thy Neighbor BINGO" card, filled with ideas for ways to volunteer and serve. If you complete a "BINGO of service" during the designated weeks, you'll receive a small gift of recognition and to remind you of the experience. PICK UP YOUR BINGO CARD OUTSIDE THE CAMPUS MINISTRY OFFICE! Instructions: As you serve and volunteer in the various ways described, take a moment to write down what you did and when. Once you’ve finished your “Bingo of Service,” bring your completed card to the campus ministry office and receive a gift to both recognize and remind you of your serving. Please also share your experiences online with @MsideServes and be sure to tag them #MsideServes! Note: the hope for this activity is that you’ll give some intentional time and thought to service during these weeks, expand your comfort zone around volunteering, have a bit of fun, and give something of yourself to others. If you are accomplishing these goals then, I am pretty open and flexible with what “counts” for these activities. Be creative! But also be in service to others!